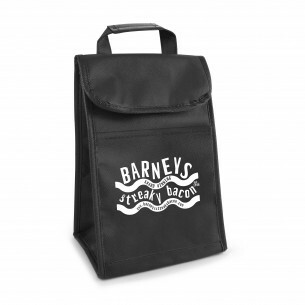 This small cooler bag is ideal to be used at outdoor events and within schools. Promote your business by branding these and giving out an event. A useful and great give away item in the better weather. Your company is sure to be remembered. This product is available in four different colours; blue, black, red and white. Comes with coloured trim and gusset to match. We will either screen print your logo or print your full colour image to the front within the printable area of 120 x 80mm. Minimum order of just 25 units, so ideal for smaller businesses as well as larger corporations.